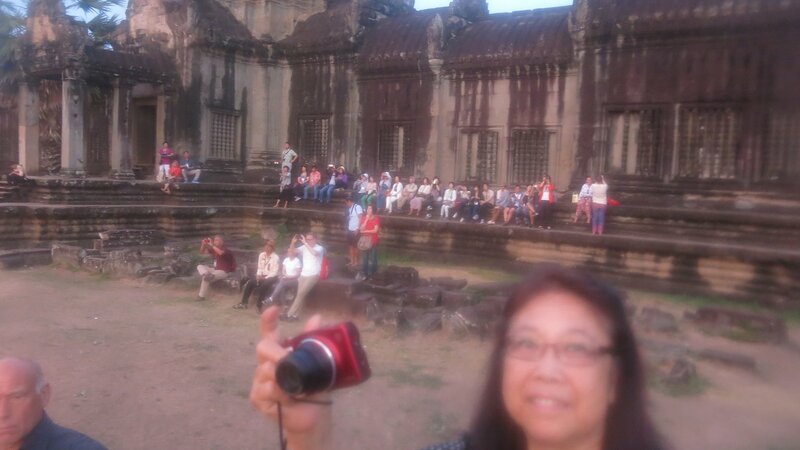 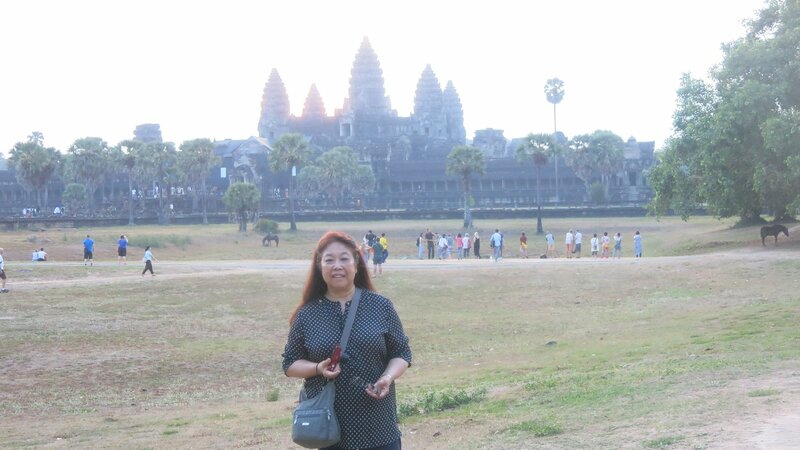 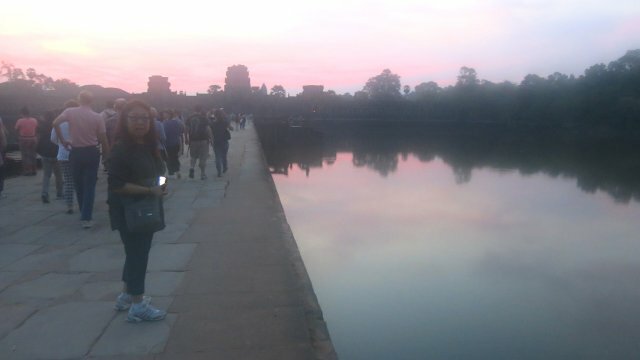 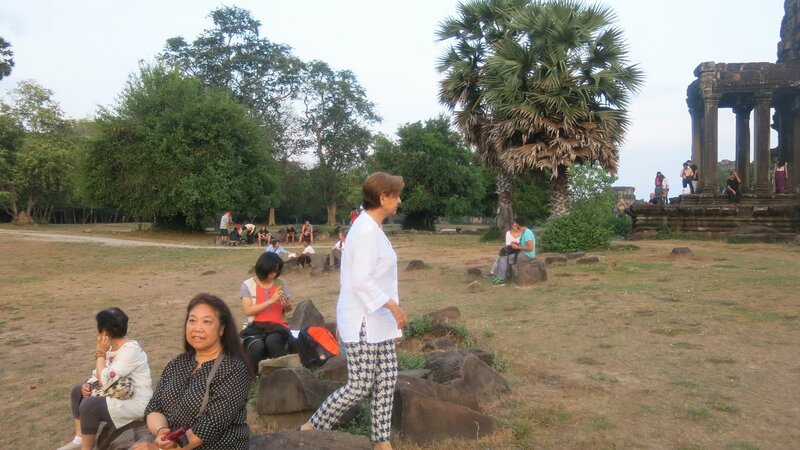 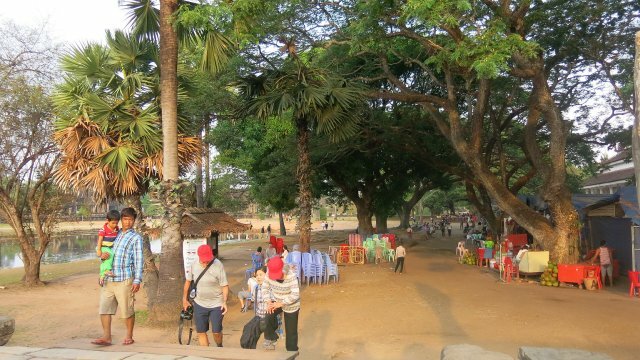 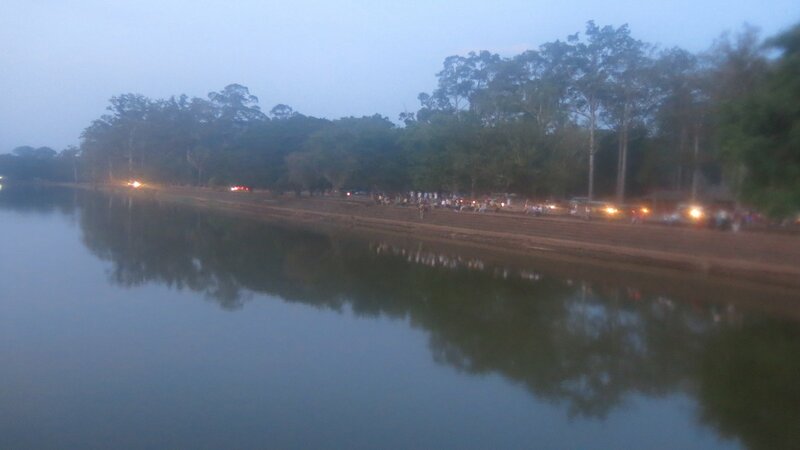 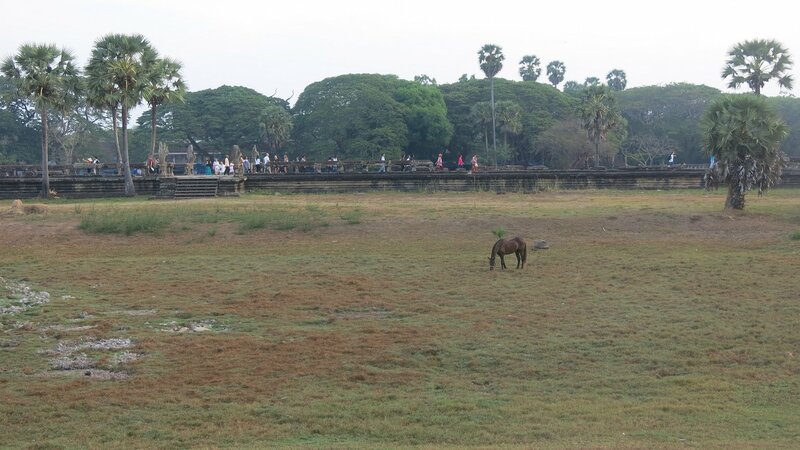 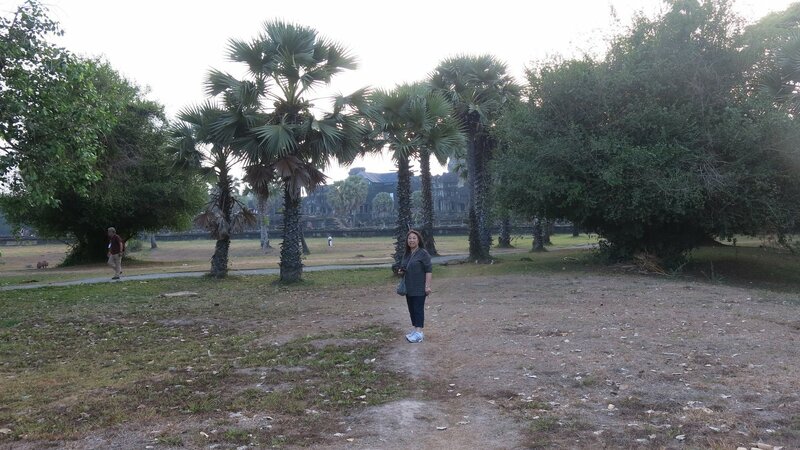 We arrived at the Angkor moat in the pre-dawn darkness before unrise. We entered the West Gate so as to see the silhouetting the temple towers. 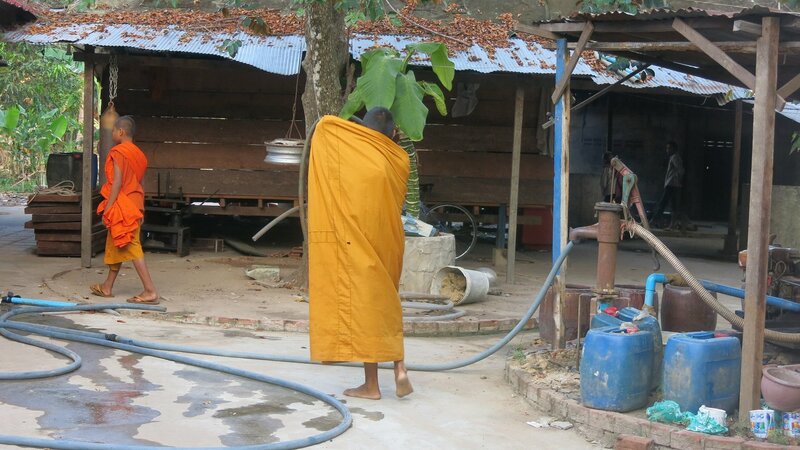 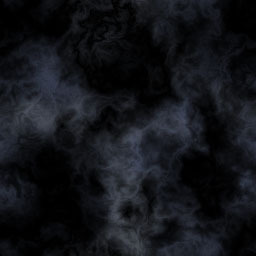 The early morning heat and humidity fogged our camera lenses for the first series of shots. 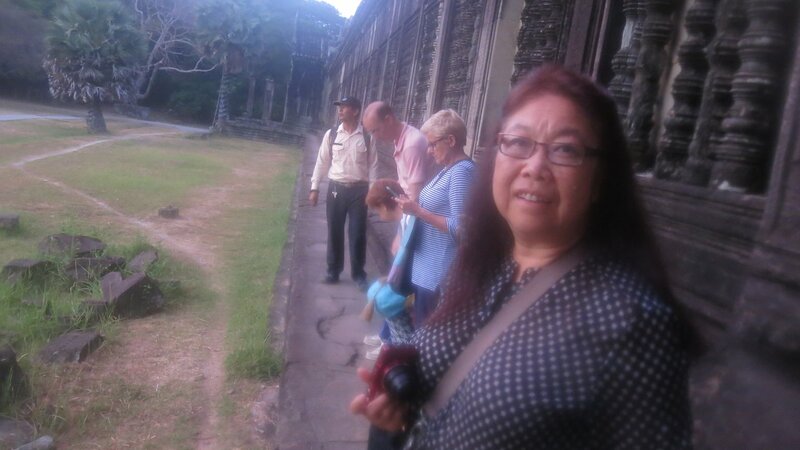 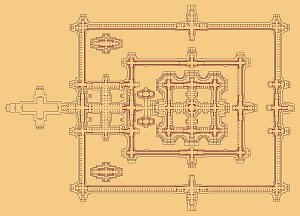 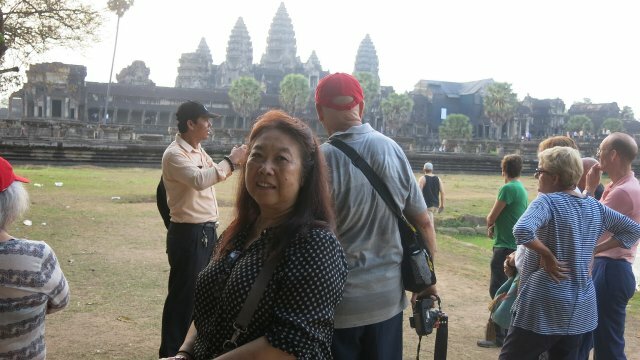 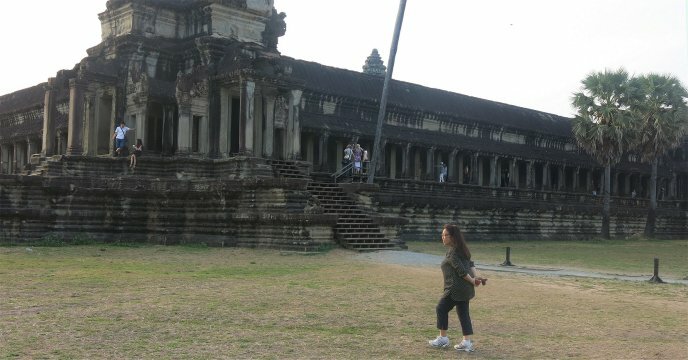 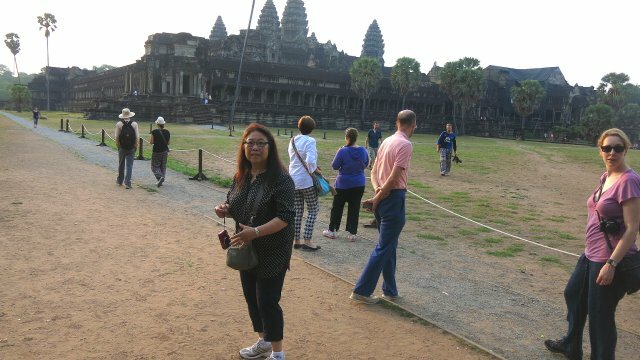 From entrance to center, Angkor Wat consists of a moat crossed by a wide stone causeway, a main gate, a grassy field with two pools, a lower gallery running all around the main building, a middle gallery with four courtyard pools, and the five towers. Constructed in the first half of the 12th century, Angkor Wat is the climax of Khmer architecture: A gigantic three-step pyramid that was originally adorned by nine slender towers of enormous height. 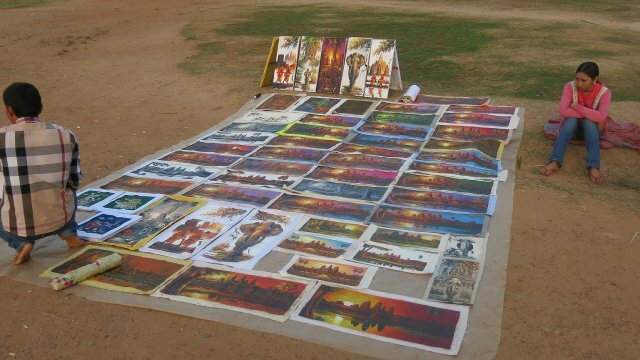 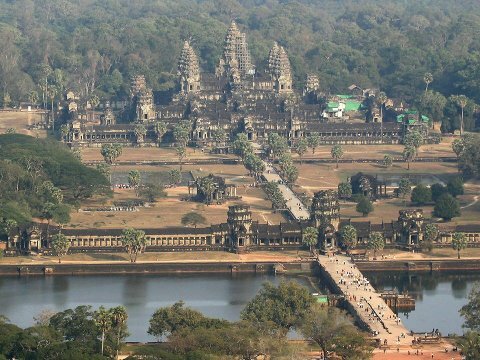 Angkor Wat was dedicated to the Hindu god Vishnu, the preserver of the world. 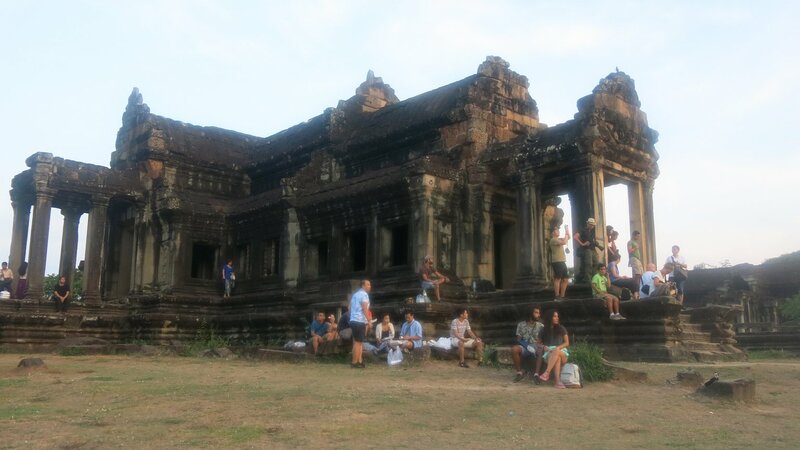 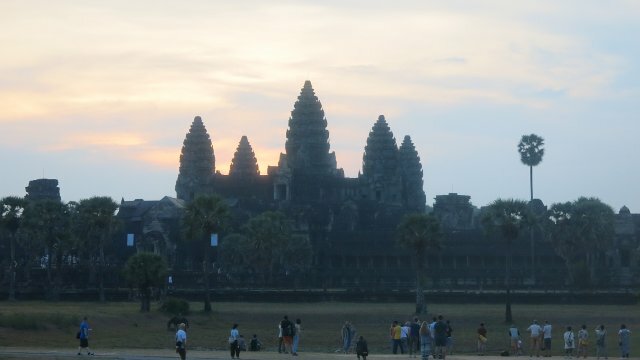 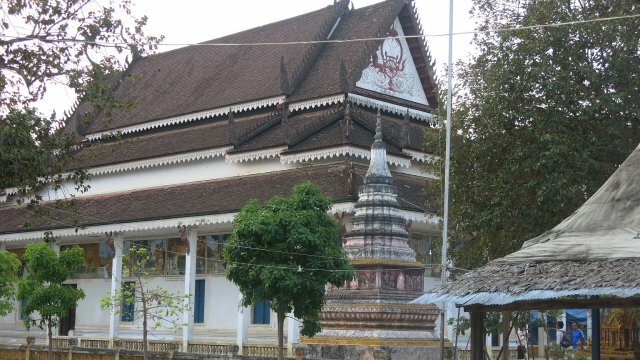 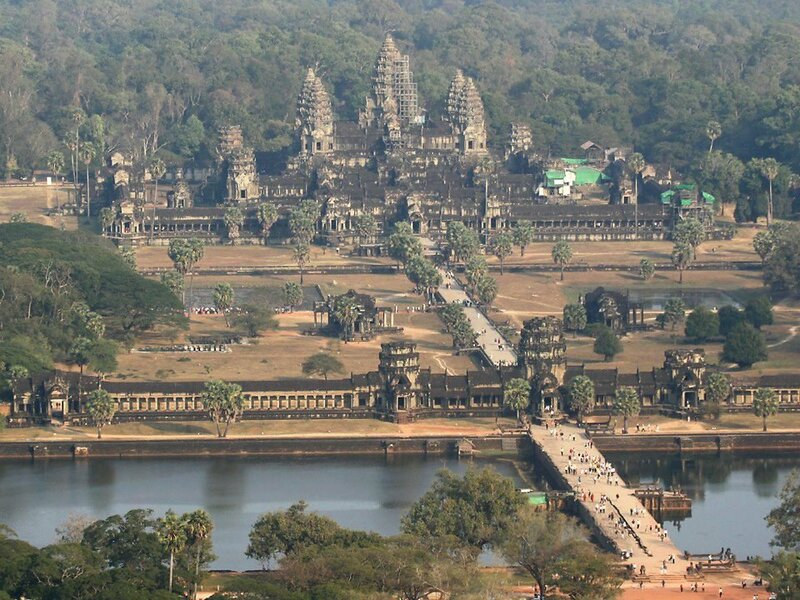 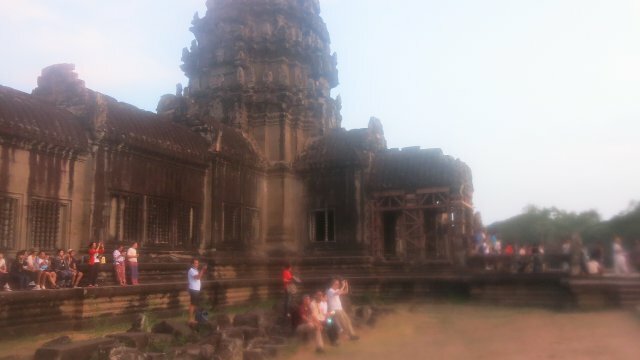 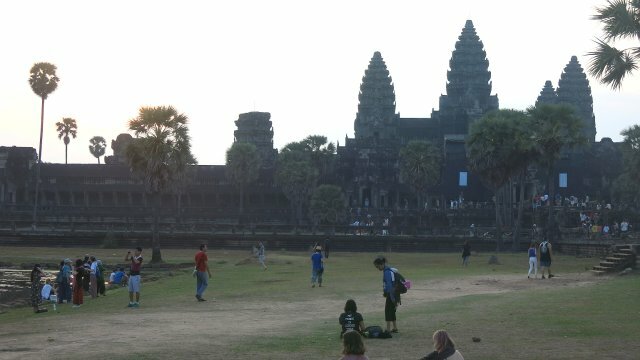 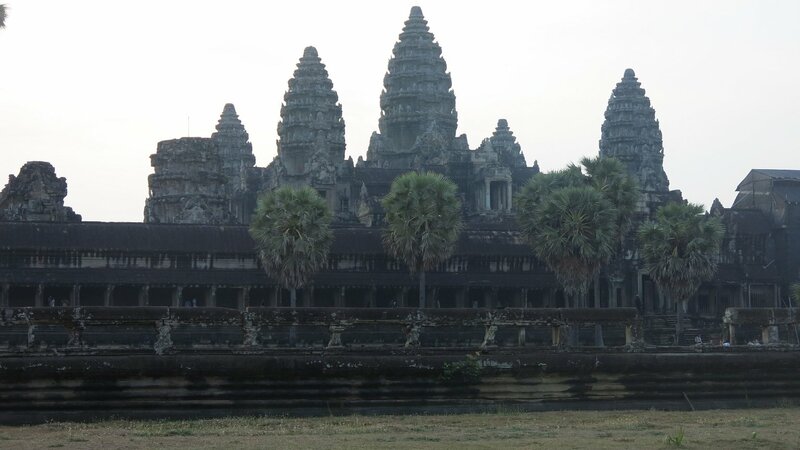 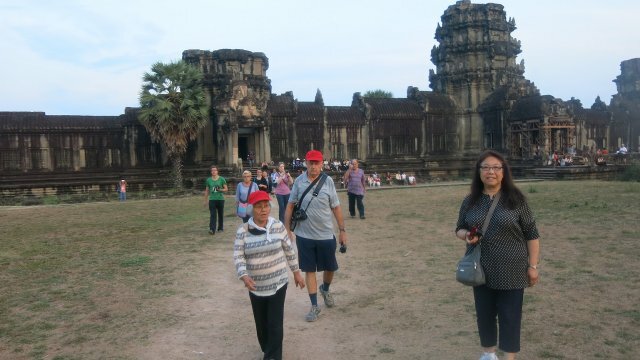 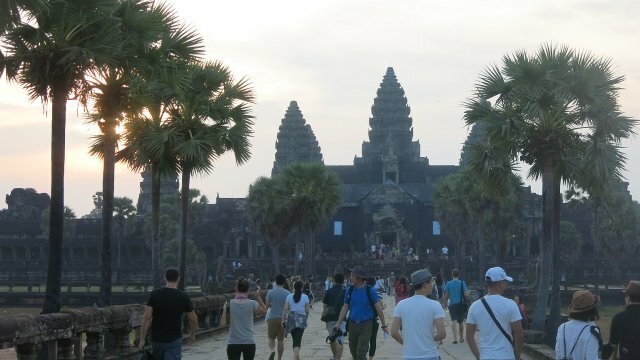 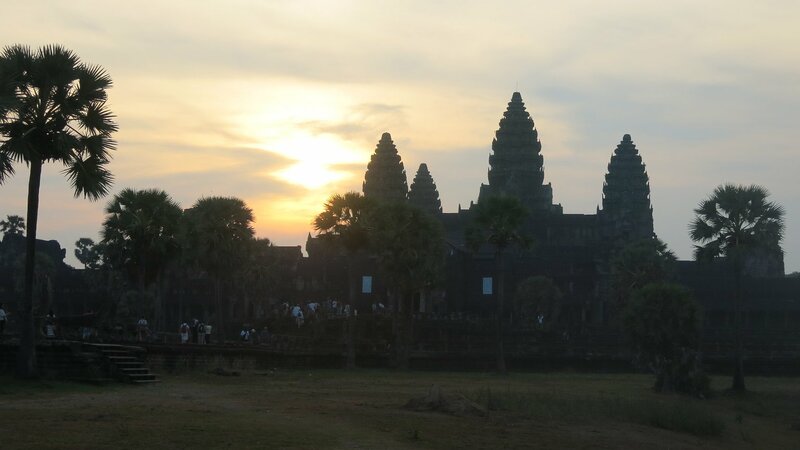 Angkor Wat is orientated to the west, facing the centre of the city: the Shiva temple Phnom Bakheng. 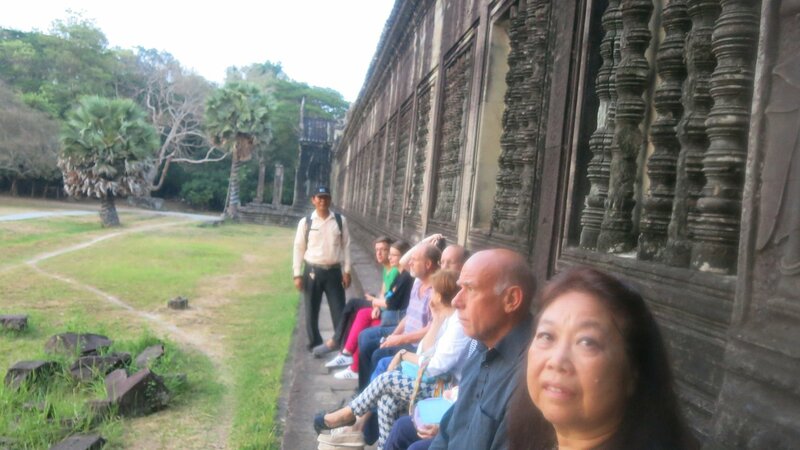 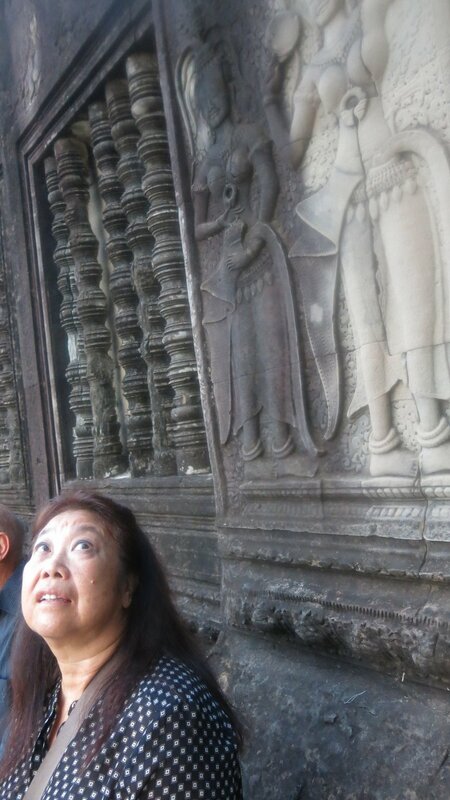 while our guide briefed us and gave us background information. 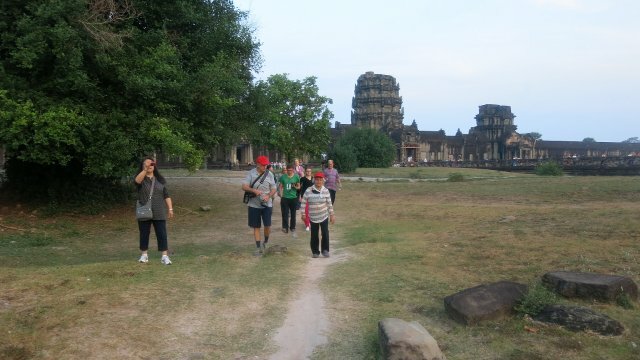 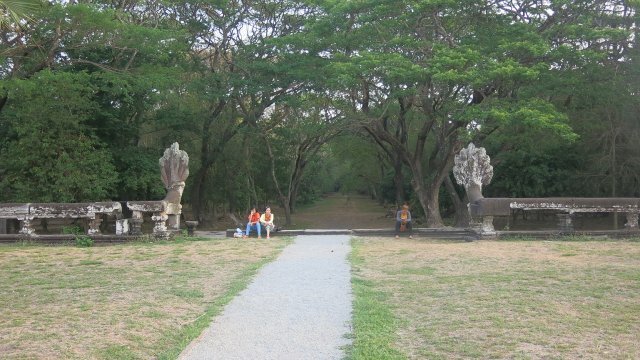 Carrying on toward the Temple across the large grassed area. 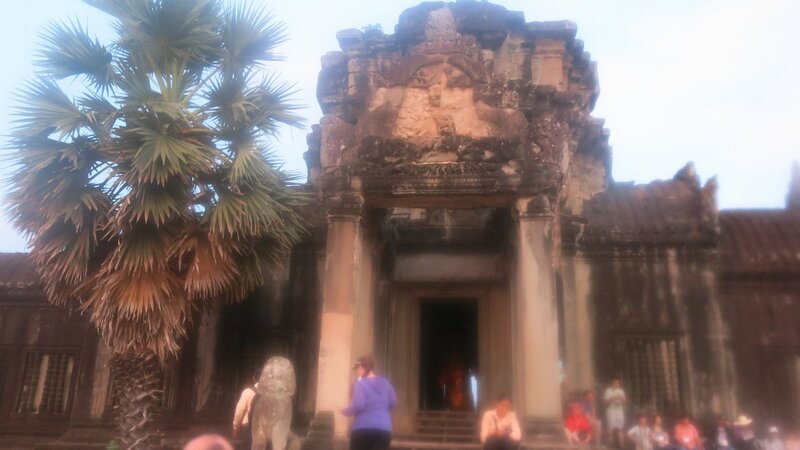 The sun is still hidden behind the temple but the grounds are now well lit. 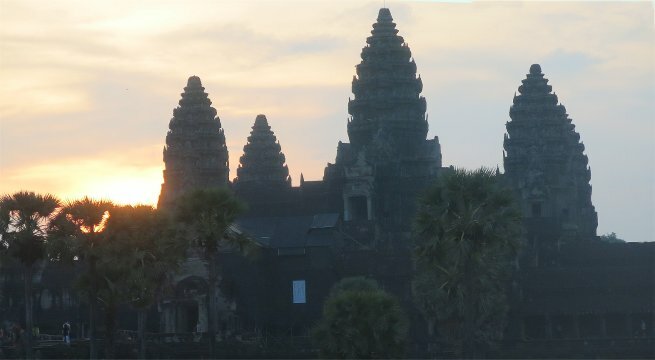 The temple towers are in silhouette as the sun creeps higher. 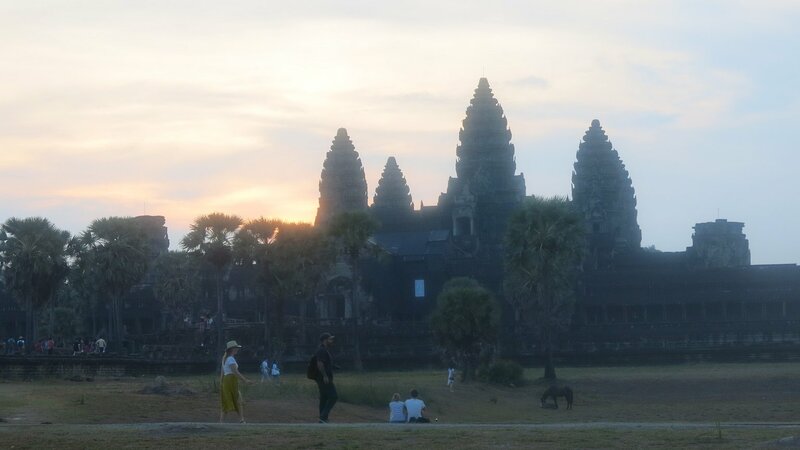 Finding seats to view the full sunrise. 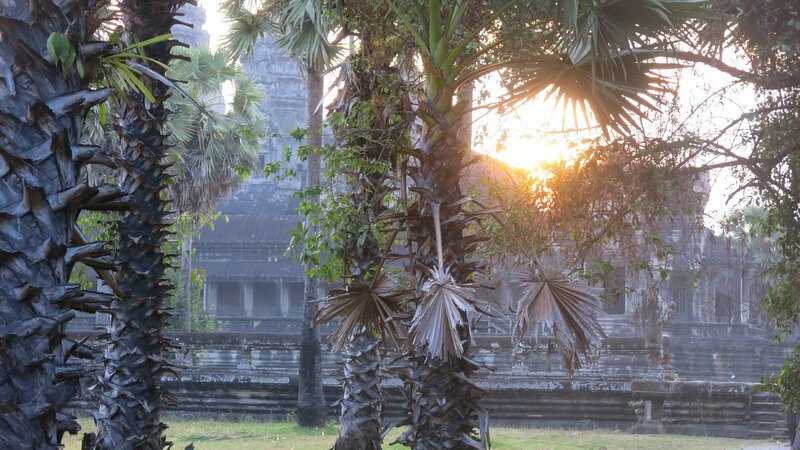 Wandering the Temple grounds under full dawn light.